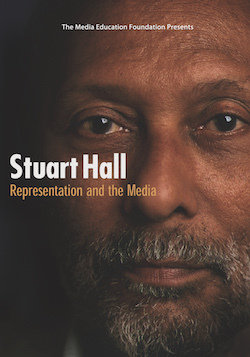 Cultural theorist Stuart Hall offers an extended meditation on representation. Moving beyond the accuracy or inaccuracy of specific representations, Hall argues that the process of representation itself constitutes the very world it aims to represent, and explores how the shared language of a culture, its signs and images, provides a conceptual roadmap that gives meaning to the world rather than simply reflecting it. Hall's concern throughout is the centrality of culture to the shaping of our collective perceptions, and how the dynamics of media representation reproduce forms of symbolic power. Stuart Hall, was a leading figure of the British left for over thirty years and a visionary race theorist. He made profound contributions to the field of cultural studies at the Center for Contemporary Cultural Studies at Birmingham University. His work has made possible multiple conversations taking place around questions of culture, race and ethnicity. "Stuart Hall is our most acute student of race and communication (and many other matters as well), and a passionate and engaging lecturer." "I recommend [it] as a resource for teachers wanting more theoretical background on the critical cultural perspective on race."